DVD to iPhone Converter is a DVD to iPhone users essential 4S 4S, which can rip any DVD to iPhone MP4 4S, MOV, H.264 and MPEG-4 video, and even convert audio formats to iPhone 4S compatible with surprising speed and excellent quality. So you can enjoy your favorite DVD movies on your iPhone 4S.The newly adopted NVIDIA CUDA and AMD APP provide a 6x faster speeds also improve video quality and improve application performance. ...... So you can enjoy your favorite DVD movies on your iPhone 4S. The newly adopted NVIDIA CUDA and AMD APP provide a 6x faster speeds also improve video quality and improve application performance. The Magic Application Acceleration AMD has the conversion speed ultra-high performance and superior video processing. Qweas is providing links to DVD to iPhone 4S Converter 5.5 as a courtesy, and makes no representations regarding DVD to iPhone 4S Converter or any other applications or any information related thereto. Any questions, complaints or claims regarding this application DVD to iPhone 4S Converter 5.5 must be directed to the appropriate software vendor. 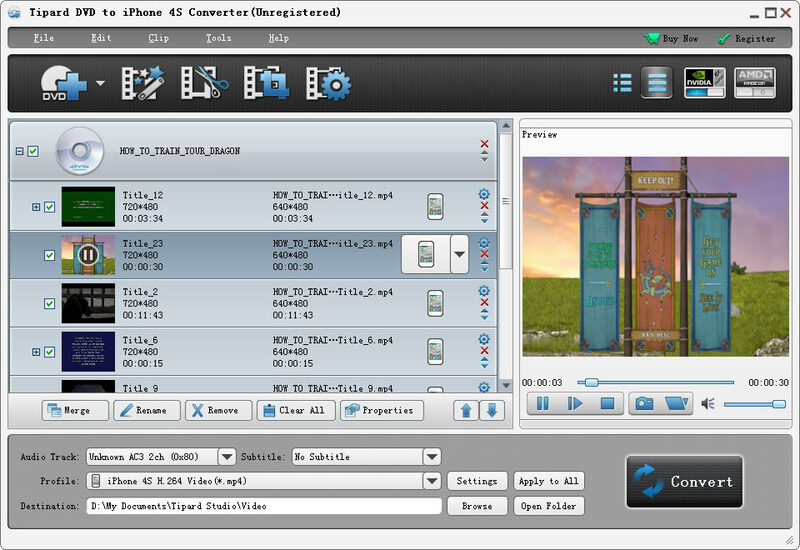 You may click the publisher link of DVD to iPhone 4S Converter on the top of this page to get more details about the vendor.